Your spine protects your nerve system, the master control center of your body. 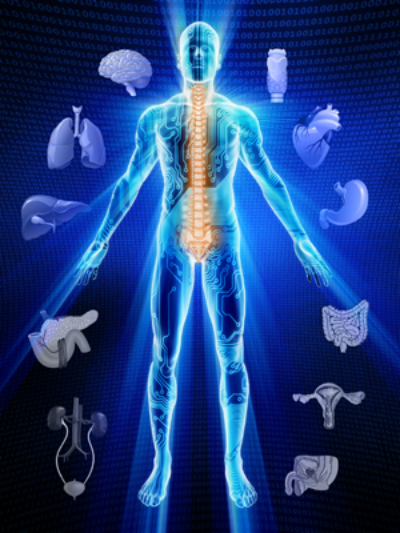 Vital energy flows over your nerves and communications with every cell. Nerve pathways must be clear for the messages to get through. If you have an uncorrected spinal problem, it can cause a decrease in the function of vital organs and systems, and lead to unecessary pain or health problems. Researchers found that when the spine is misaligned it can begin to deteriorate within 2 weeks. Think about how many two weeks have passed since you were born, which is often when the first spinal injury or vertebral subluxation occurs. How many two weeks are there from a childhood fall to age 50? Is it any wonder why more than 15 million people are diagnosed with osteoarthritis each year? Don't wait another 2 weeks for a check up. 5. The straw will break the camel's back. Weve all heard the expression the straw that broke the camels back. This is so true for too many people who ignore minor spinal problems. One day they do something simple, like bend down to tie their shoe, and they cant get up. Major problems are much more painful and expensive to care for, and they can ruin your day, or even worse, your life. 4. Grandma and Grandpa didn't get crooked overnight. They grew that way over time. When your body becomes bent over and crooked, you will look and feel old and decrepit. If you keep your posture and your spine straight and strong, you will stay healthier and feel younger and more attractive. People often use drastic measures to preserve their youthful appearance as they age. Dont you think a facelift would look silly on a person whose spine and nervous system were neglected? 2. You can't afford to get sick or injured. Everybody deserves to be healthy from the time they are born through their last breathe of life. This includes you. Too many people wait until they have intense pain and suffering before they make their health a priority. Don't let this happen to you.